Karen Martin Reads: Post 45: In a Nutshell, one cracking good read and one that tried too hard. Post 45: In a Nutshell, one cracking good read and one that tried too hard. Happy Christmas to all my readers. With just 11 days to go, I decided writing a blog was much better use of my time than hunting around for lords-a-leaping! And for the purists among you, (yes Richard, you), I realise that the twelve days of Christmas pertain to the period after Christmas Day; I am using poetic licence! My reading material, you may be relieved to know, has not been festive at all. Aside from Mr Dickens, I find most Christmas literature to be a little trite. We did however indulge in mince pie, gingerbread and mini Christmas cakes as the English Department gathered for their inaugural meeting of book club for nerds! We had all read The Nutshell by Ian McEwan and there is absolutely nothing trite or seasonal about this novel. I have a complex relationship with McEwan! I seem to love or loathe his books, and this one is not one I will be re-reading in a hurry. I loved the premise. Narrated in utero, I eagerly anticipated the voice of a foetus, thinking that it gave great scope for originality and perspective. In the opening chapter, I was happy. The baby had a bizarrely adult tone, but I was content to suspend disbelief when the rationale behind this was that he had gleaned his vocabulary and world views from various radio 4 programmes and podcasts that his mother was listening to. I liked that. Quirky. It was in or around chapter 3 when it dawned on me that the mother was called Trudy and her lover (not the baby's father) was called Claude. Could this be a pastiche of Hamlet? My heart fell. Surely not McEwan? He doesn't need gimmicks...and this felt like a gimmick. From that point on, I just wanted to finish it. Not because it was a page turner, but because I had better things to do with my time, (now where are those 11 lords?!) From a promising start, it descended into an unconvincing thriller where the baby's mother and Claude plot the perfect murder of John, (baby's Dad). As in the Shakespeare play, Claude is odious. His hold over Trudy seems to be merely sexual, and often exploitative. Trudy has little resemblance to Hamlet's mother, and yet she appears weak and ineffective against Claude until the closing chapter. In the same way, Gertrude only finds her voice when she declares she has been poisoned by the drink; perhaps in some way trying to warn her son of treachery afoot. And whilst Hamlet is a typical Shakespearean tragedy with everyone ending up dead, The Nutshell contains some hope in its final pages. Trudy's show of strength as she is about to give birth allows her to control Claude and prevent him from fleeing justice. I hated the connection to Hamlet; it felt forced and unconvincing. I loathed the descriptions of sexual activity from a baby's perspective. Whilst I could find humour in the adult voice and perspectives in the baby's narration, I couldn't find space in my heart for the total removal of his innocence. Yes, you could argue that Hamlet lost his naviety when faced with the murder of his father, but that wasn't a strong enough justification for me. You may like to read The Guardian's review of The Nutshell which explores the Hamlet connections in greater detail. And the rest of my book club nerds? It was an overwhelming, "no". Some enjoyed it more than others,but the narrative voice proved unconvincing to many; even with the idea that radio 4 has been his educator, there were many discrepancies that made his world view inconsistent. And we all felt that some of the descriptions were repellent and gratuitous. Would it have been published had it been written by an unknown author? Possibly not. So having given a book I didn't like so much air time, I am excited to give you a taster of a novel that I think deserves a place on your Christmas list. 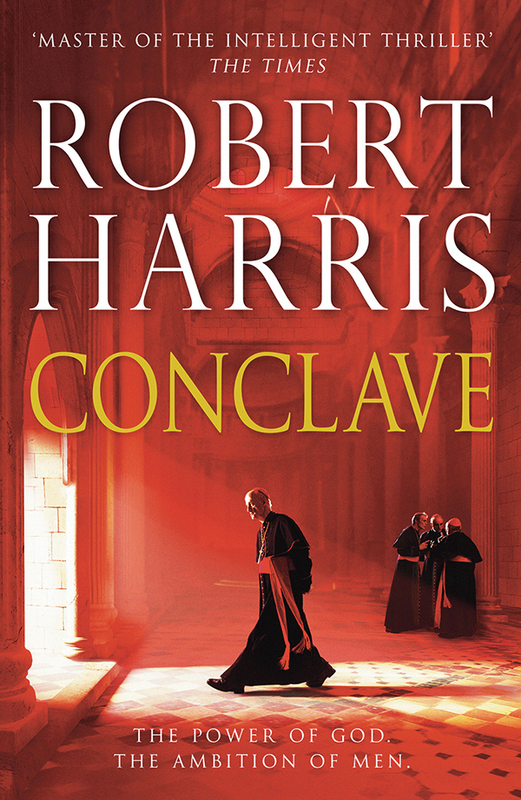 I saw Robert Harris at the Henley Literary Festival in October where he spoke about his research visits to the Vatican in preparation for writing Conclave. I was intrigued. Harris is not a religious man; indeed he joked that he wasn't even a member of the Church of England club, having not been baptised as an infant, a birthright he felt every Englishman should be entitled to. He also said that having written the novel, he was more inclined to the agnostic position that a God who created the world, who oversees in some way, who is bigger than we are, must exist. And so to the novel. It is set in a Conclave; the formal term for the group of Archbishops of the Catholic Church who meet to vote on who amongst them should be made the next Pope. Not an action novel then. Most of the plot takes place in a locked room with 118 clerics. No-one can enter or leave until votes have been pondered over, prayed about, cast, counted and checked. This has the makings of a dull read perhaps? Maybe in the hands of a different author, but this was a gripping storyline. The central character, Lomelli, is deeply human and I felt immediate empathy with him. He is aware of his own weaknesses and yet carries his responsibilities well in spite of this, (perhaps even because of this). He confers with others and seeks to do the will of the Lord for the good of the Church, despite his own difficulty with prayer. In his role as Archbishop in charge of the Conclave, he is the unwilling recipient of gossip and intrigue. Harris times these gobbets perfectly to move the plot forward and add new dimensions to the story. His use of pragmatic suggestion is well crafted; the outcome of who is to be the next Pope is left ambiguous and uncertain until the final revelation. As always, I promise no spoilers, but there is a subplot which I outted before the final reveal. Rather than spoil the story for me, it merely made me smug that I had seen this particular aspect of the story coming! This was a good read. Well written, it is popular fiction at its best and Harris deserves acclaim. Its storyline was one that left me thinking that every moment I wasn't reading the novel was an inconvenience. I wanted to talk about it and share my discoveries as I read them. I have handed the book to my husband now, eager to discuss the story and see if he got the sub-plot! Go on, ask Santa to add another book to your stocking. Then you can tell me what you thought of it too! Current read is The Readers of Broken Wheel Recommend by Katarina Bivald. Enjoying it so far, and hopefully I'll be finished in the next couple of days. And nerdy book club? We re-convene in February for a discussion on Never Let Me Go by Kazuo Ishiguro. A brilliant book that I have already reviewed, but which I eagerly anticipate re-reading. 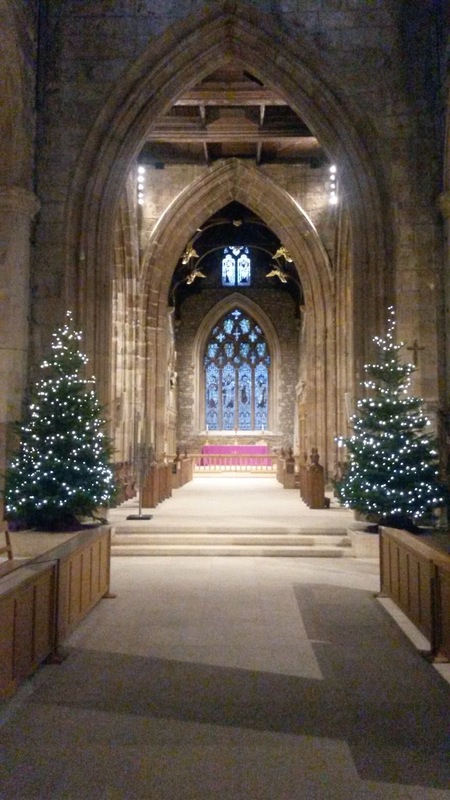 Happy Christmas to you all. May your Christmas Stocking be bulging with books....and if Child 2 has got to the end of this entry, I am very happy for him to continue his quest to provide me with the best reads of the year!